Thank you for your interest in OPPA. Our association offers great opportunities for networking with other professionals in the industry plus a host of other benefits. Annual trade show with no admission fee for members. 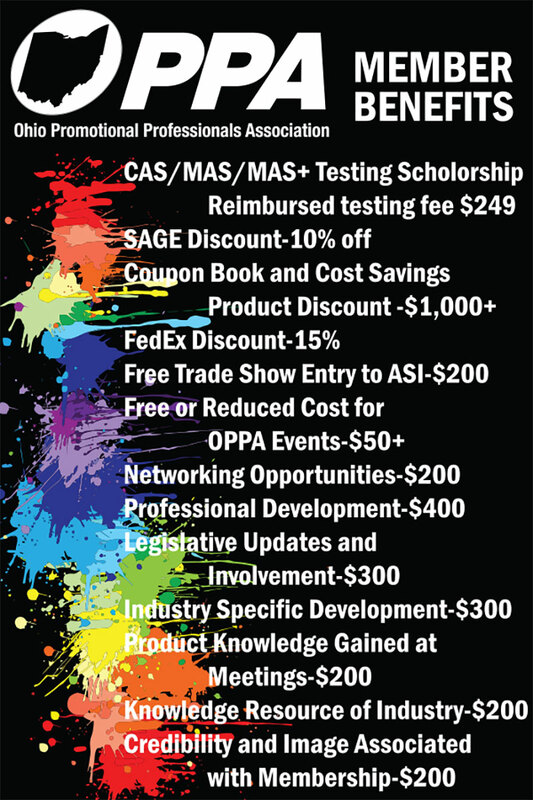 PPAI and other National Shows at either no charge or at reduced rates to attend! OPPA informative newsletter covering current industry issues and events of interest to OPPA members. FedEx Program enables you to save up to 21% on your FedEx bill. What are you waiting for? Become a member today!